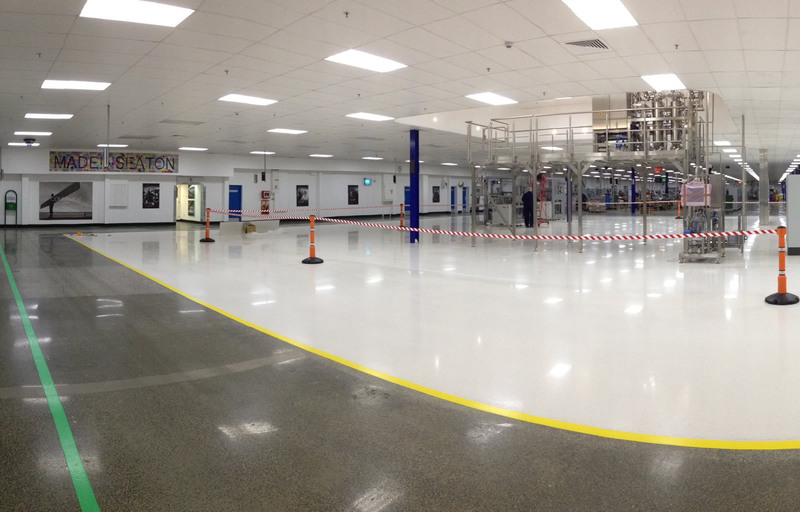 Procter & Gamble chose a High Performance high polished decorative concrete terrazzo floor, to repair their old and uneven concrete floor on this factory in the north of England. This Procter & Gamble’s factory in the north of England had a very old concrete floor with a very uneven floor surface resulting in height differences in some places of several centimetres. This unevenness affected the functionality of the laser controlled AGV´s and visually, the floor was dark and stained and had micro cracks and marks from previous repairs. 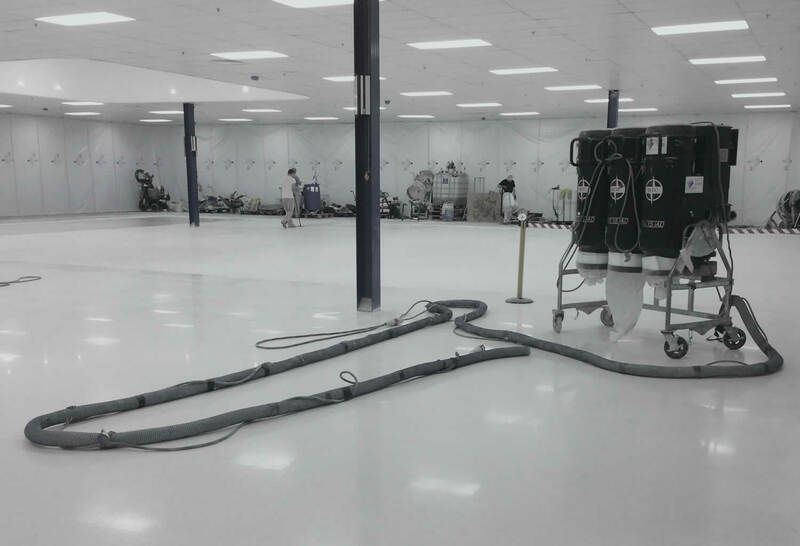 It was an essential factor for Procter & Gamble that we could restore the floor without having to close down the factory. 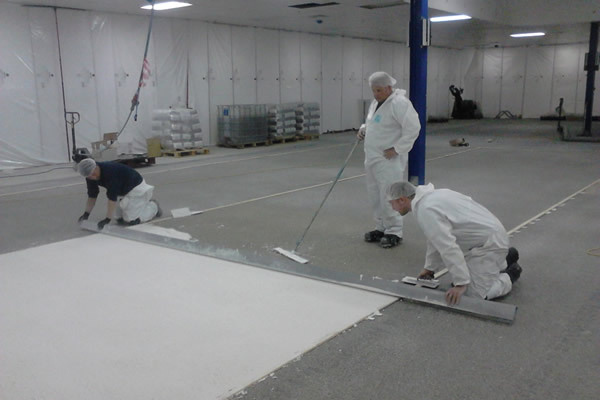 With our floor system we were able to make a new bright floor, without having to take out the old pavement, which would have forced the factory to close for weeks, due to noise, dust etc. We also removed the joints, which constantly caused costly repairs and disturbed the smooth running and functionality of the AGV´s. 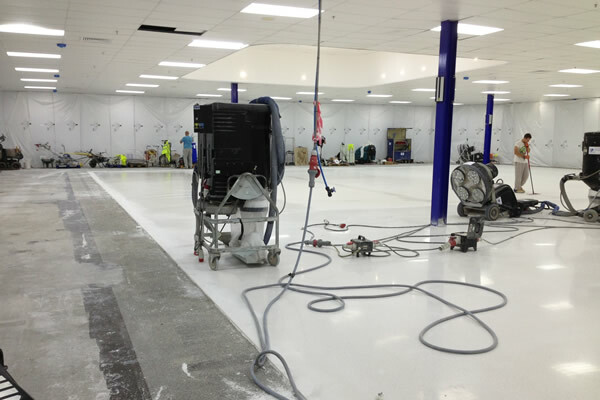 The floor that was laid by Quest, one of Europes leading grinding and flooring companies, was ground down on the high spots and holes and saw cuts were filled with Epoxy fillers. A mesh was put in to avoid the micro cracks passing from the subfloor to the new surface. The floor was primed with epoxy and 1-2,5 mm sand to secure adhesion. A 10-15 mm screed was laid over the old floor. We used a white Terrazzo mix with white pure quartz aggregates. 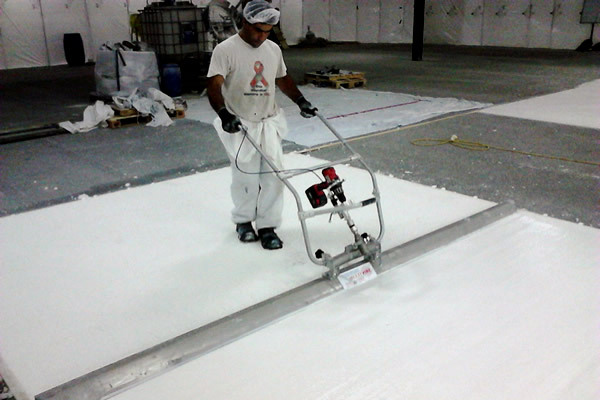 The result is a new bright, jointless and extremely abrasion resistant factory floor.